My name is Brittany, and I am Bona Vista Program’s brand new staff recruiter. 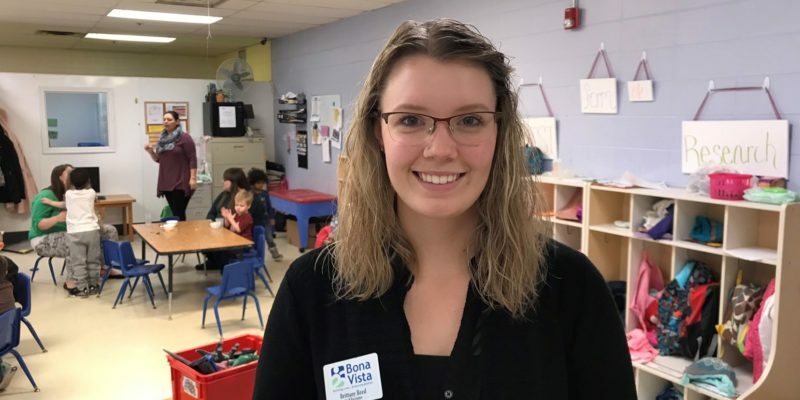 I thought I would share a little bit about myself and what my first month with Bona Vista has been like. I am from a small town in the Kokomo area and have lived there my whole life. Before my employment with Bona Vista I sadly knew very little about the organization. What I did know was that Bona Vista helped people, and they had a preschool that has really helped my nephew. That’s about it. But, boy, have the last few weeks opened my eyes. The highlight of my job so far has been meeting our persons served. I have never met such genuine people who LOVE new experiences and appreciate the little things. Who want to have a conversation with you no matter your opinions or background. They have truly been inspiring, and I look forward to getting to know them more. I have also loved meeting my co-workers. 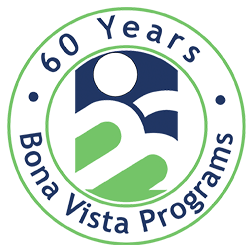 Many of them have been with Bona Vista for years, and I cannot imagine having the knowledge and wisdom that they do. They pour their hearts into our organization daily and I notice that it is not always easy. Sometimes all the kiddos in your preschool class are having a bad day (did I mention my office is right next to a preschool classroom?). But, I must say, kids singing down the hallway is very cute and the occasional hugs from three year olds as I enter the hall are welcomed. Then, of course, are the aspects of my actual job — staff recruiting — which I have found very rewarding. I won’t bore you with all the details, but I thoroughly enjoy meeting others in the community and having the opportunity to help people figure out which job could be the best fit for them. I often wonder how on earth I am going to remember all of the programs and all of the jobs we have, but it has become easier and easier every day. Of course, it isn’t always rainbows but I love that I am with an organization that I feel truly makes a difference in our community and that makes the hard days easier and the fun days my favorite. Bona Vista has been so welcoming to me, and everyone I have met has been so gracious and is always there to answer any questions I have. I look forward to my future here, and I am eager to learn more in order to become a better staff recruiter every day!